Crap, the people I admire are dropping like flies. 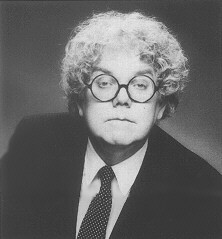 Stan Freberg died today of pneumonia at the age of eighty-eight. He was active in the entertainment industry for decades, someone I think we’ve pretty much all come across at some time or other, even if we weren’t aware of it. His comedy records included several parodies of popular songs of the time, as well as of radio and television programs. He did voices in Warner Bros. cartoons, even though a deal with Mel Blanc resulted in his being the only one credited. Beth knew him from his guest appearance on The Monkees as a toy company executive, and he played producer J.B. Toppersmith and the cranky puppet Papa Boolie on The Weird Al Show. If you’re around my age, you probably also remember the Encyclopaedia Britannica commercials featuring his voice-over and his son Donovan. He did advertising for years, being one of the first to incorporate humor into commercials, yet wasn’t afraid to bite the hand that fed him. I wrote a brief review of his box set four years ago, but I’m sorry I didn’t buy his history spoof The United States of America when it was still in stores. It’s weird how some of his recordings, especially his skewering of Joseph McCarthy, were pretty controversial back when they came out, but seem fairly innocuous (but still quite funny) today. He was a talented comedian and voice actor who also tended to have a strong sense of morality in his work. While his death is a loss to the world, he certainly gave us a lot by which to remember him. This entry was posted in Advertising, Cartoons, Humor, In Memoriam, Music, Stan Freberg, Television and tagged donovan freberg, mel blanc, the monkees, the weird al show. Bookmark the permalink.